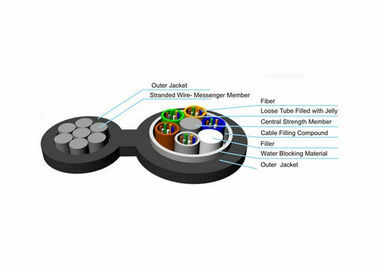 Self-supported figure 8 optical cable with fibers placed in jelly filled loose buffer tube stranded around dielectric central member. 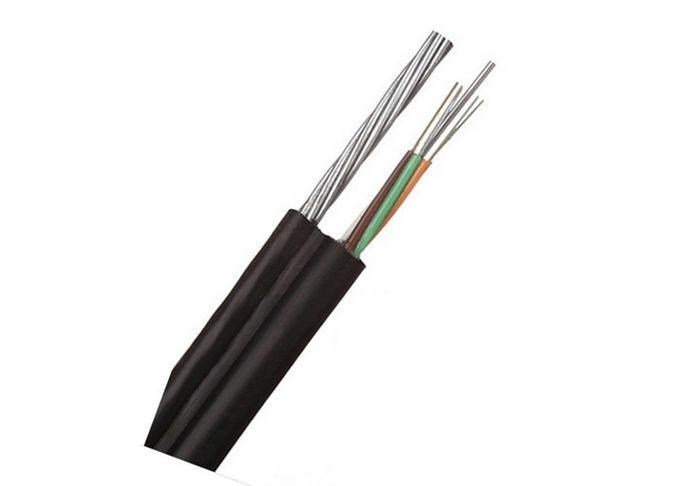 The cable core is protected with jelly or waterblocking material to prevent water intrusion and migration. This set unit and galvanized steel messenger are covered with polyethylene outer jacket.